hello K.C thank you for all the efforts and we all are thank full to you. I would like to ask one question which one is the best original rom and, custom rom for omnia 2 I8000. Waiting for your feed back. thanking you once again. We are really looking forward to your wm 6.1. 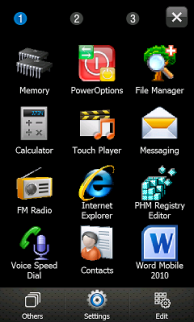 With JA5 eboot and your current 6.1 rom... i have 105mb of ram before installing everything And 72mb ram after installing spb expresso theme and all my other apps. Hope you have some time for 6.1 too as its fast! hello K.C thank you very much for this rom, just flashed, its just great, only one issue is that when we want to send sms its says address or the no. not recognised, kindly suggest the fix. waiting for the fix for the sms error. Helo once again, it s just to inform you all that the sms bug is solved after i download the sms/mms cab from original rom. Thank you K.C for this wondeful, perfect rom. Hello every body, hello K.C I would like to let every body know that this rom is working perfect with the original rom cabs installed for sms/mms, touch calander, no conflicts, no hanging, no errors smooth n fast. I would like to ask you, if i have to use this ROM, when i using 6.5 ROM. If it is possible to downgrade from 6.5 to this 6.1 ROM. And second question is if i have to use only one attachment? (i8000KC21006Lite.NB0) I thought that there must be three att, or? its all good, i recomend updating the 6.5 rom from secany JA5 or JB1.. all 4 parts to get the latest and extra ram...then downgrade to this KC 6.1 rom.. all working SWEET as here! This + JB1 + tf3d 2.0 = amazing! with JB1 do you still get the extra 5mb ram from JA5? or a way to call the SMS/MMS into the email account (Outlook) or any other POP3? I decided to release this WM 6.1 ROM that is my LAST WM 6.1 ROM for Omnia II. nice 2.1... may i know whats not functional in it?? i dont care bout the music tab but does the pictures tab and wireless controls work?? 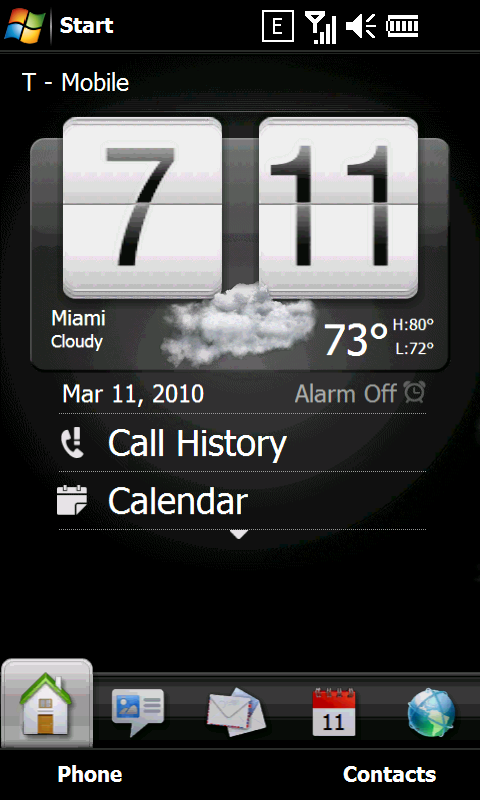 This is the first HTC Sense 2.1 version that People, Music, and Photo Tabs don't work. I have no time to test any new modified versions. Please suggest if anyone finds the one that works completely. 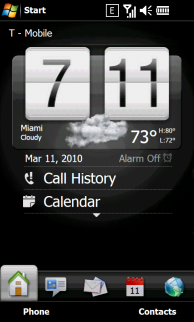 any plans for Sense 2.5 ? !!!!!!! Depends on the feedback from this ROM. I saw >20 downloads now. Please give your comments. really great job KC!! i was love at first sight with the ROM. gj skinning the Start Menu too! overall, great great great, not laggy at all. 2. appointments are not shown marked in the calendar tab (no appointment shown when clicked on the date - was pretty sure i saved one). it only works for new appointments. 3. most of the settings don't link to where they're supposed to be. would understand G sensor, but when i click on sounds it will crash sense. havent really made a reboot, lol. i'll try again. 6. Memory has not gone down to 80MB after 10 mins of playing. GJ! ive been on your KC_Lite since you have released it, and i was waiting anxiously for a new rom from you, but if you cook one without Sense ill happily use it! I'm not quite sure that, without Sense 2.1, this new IJ3 ROM will have a significant change from my first Lite ROM that was based on IH3 ROM. All the IJ3 Samsung applications are quite the same as IH3. Changes are just the completely working Lockscreen (the music player function didn't work in the first ROM), a new T*Omnia 2 Start menu, and the new Office mobile 10. Worth to try this? Or just disable Sense and use your preferred today plugin? Removing Sense may preserve some storage space but not much.